INDUSTRY.co.id - Jakarta - The increasing needs of customers, one of the telecommunications companies in Indonesia, XL Axiata expands the area of ​​3G and 4G networks. This is so that all customers can enjoy XL network in any region in Indonesia. At the same time, XL Axiata is also continuing to launch internet data packet products in order to facilitate every customer requirement. Recorded, until the end of October 2017, XL Axiata Internet data service customers increased up to 70% of total customers. In addition, customers of XL 4G LTE network users are also increasing and have reached more than 24 also from total customers. 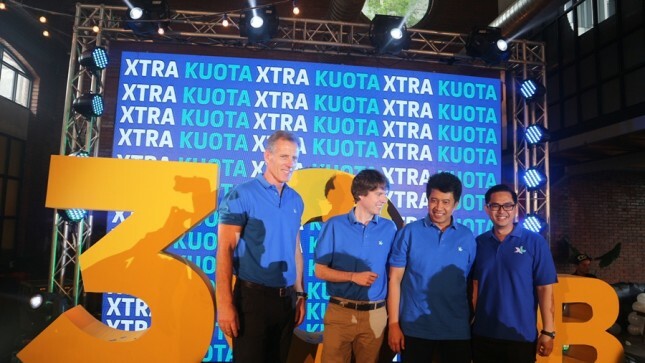 At the XGB Quota 30GB press event yesterday (21/1), XL Axiata Group Head of Corporate Communications Tri Wahyuningsih said, until the end of 2017, 360 cities from 9200 regions across Indonesia have been reached by fast internet service 4G LTE network, including the city - cities in Java, Bali, Lombok, Sumatra, Kalimantan and Sulawesi. The development of BTS or Base Transciever Station infrastructure on 3G and 4G networks will continue to be implemented throughout Indonesia. Previously, XL Axiata had more than 100 thousand BTS, and about 65% were 3G and 4G network base stations to support internet data services.